Westlands Group was acquired by Motorline Group in 2016 and its dealerships are now part of more 40 showrooms located in and around Oxford, Bristol, Surrey, West Sussex, Kent and Wales. Westlands Group ran dealerships in predominately the west of England and the Midlands. Motorline Group dealerships now sell new, nearly new and used cars and vans from a wide range of brands. The company offers customers a good selection of vehicles for a variety of budgets, from luxury automobiles to compact city cars and SUVs. The group’s dealers provide customers with other services, too, like repairs and MOTs, and they also have parts and accessories for sale. If you want to pay in installments, then Motorline also has car finance options. 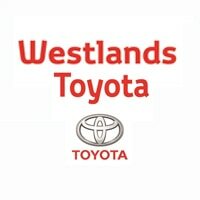 At Westlands, now Motorline, customers looking to buy new will find the latest offerings from 11 leading brands such as Toyota, Lexus, Renault, Peugeot, Nissan and Volkswagen. If you are looking to purchase a nearly new or used car, you will also be well catered for with vehicles from reputable brands like Audi, Citroen and Porsche. Motorline dealers stock cars to suit many purposes, from reliable city models like the Kia Picanto, to powerhouses like the Maserati GranTurismo Sport MC. With cars for sale to suit a range of needs, Motorline remains a firm favourite with many UK drivers.